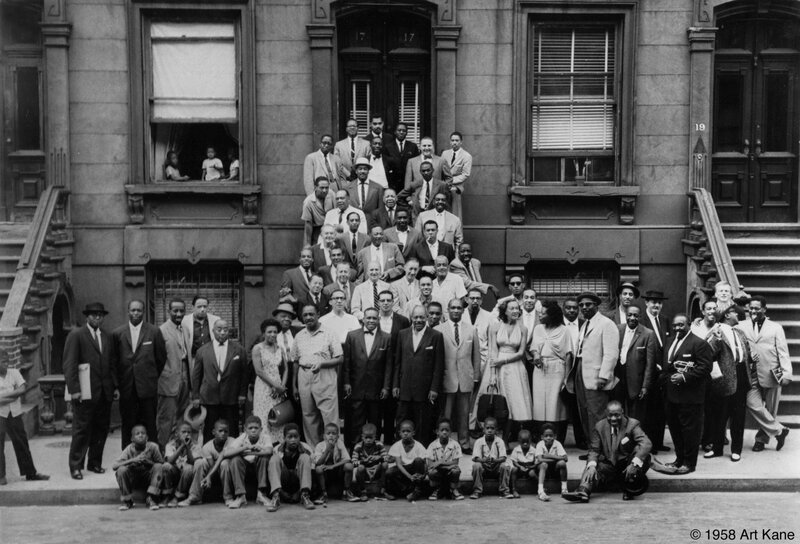 Photographer Art Kane took the most wonderful photograph in jazz history, featuring 57 of the best jazz musicians ever: A Great Day In Harlem. Photographer Art Kane took the most wonderful photograph in jazz history – remarkable for many reasons. In features 57 of the best jazz musicians and the image has come to be called A Great Day In Harlem. What makes this photo so extraordinary is that it was Art Kane’s first photo shoot; he was an art director for various New York magazines. He was given the chance and it was Kane’s idea to take the photo in Harlem, a risk on many levels, not least trying to get everyone together in one place at 10 a.m. in the morning. As Kane said, he had no studio, so he had no choice. Gerry Mulligan didn’t believe anyone would show up…it was way too early. 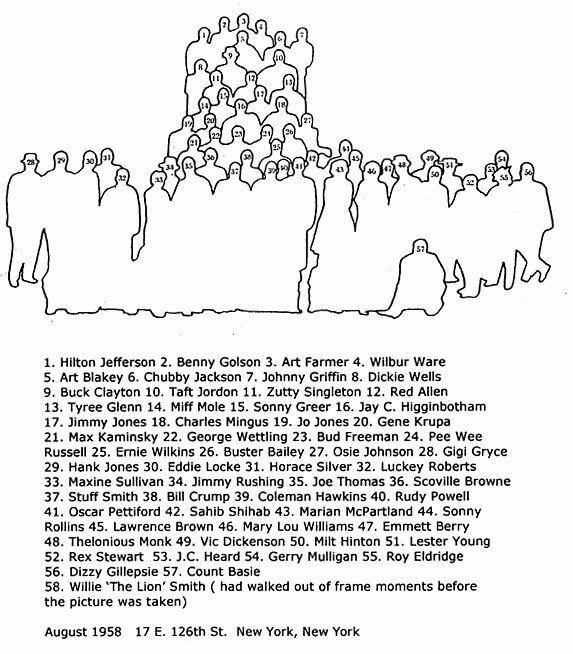 Of the 57 musicians featured only two remain alive – Sonny Rollins and Benny Golson. Follow the Jazz Giants playlist for some of the greatest jazz ever recorded. Tremendous lesson in American History. Thank you. How can I purchase a high res of this hallmark photo? Ever since I saw it on the wall, in the studio of trombone player John Trotter, in Derry, Northern Ireland, I have regretted I did not take a makeshift repro photo of it. Anyway it was framed with glass, so it would never have come out without disturbing reflexes. First thing I saw this morning…will stay with me forever…..ALLAN JOHNSON -JAZZCAFÉNOIR. This was a great moment in a great period in jazz history. It’s wonderful to see all the kids on the curb down in front. I’ll bet they didn’t hesitate for a moment to get in the picture ! ALL I COULD HAVE DONE WAS JUST STARE AT THIS HAIR RAISING PHOTO. 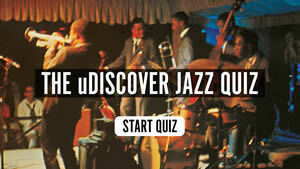 I CAN NOT PLAY ANY INSTRUMENTS OR SING, BUT I LOVE JAZZ, AND ALL THE SINGERS, AND ALL THE MUSICIANS. THEY WERE ALL GREAT, THANK YOU FOR THIS PHOTO. OH HOW I WISH THESE GREAT DAYS CAN COME BACK, BUT WITH OUT THE RACISM. This hangs in my house. I stare at it often. A snapshot, so to speak, at the moment of one of the greatest, if not the greatest, periods in jazz history. I just wısh that my dad could see thıs vıdeo..he would have loved ıt…..
Where does one get a copy of this photograph? Amazing great photo but I don’t recognised.-Coltrane and Miles. Any one know why John Coltrane was not in the photo? Look at the kids sitting on the curb. Look at the guy sitting on the far right. That’s right . . . Bill Basie . . . that’s COUNT to you . . . This famous pic I believe is also available as a poster. 1959 has been labeled the greatest year in Jazz. there is aposter, which I have and T-shirt which I also have. What a moment in history this picture represents.. If you could convert talent into a numerical form, this pic would cause any computer to blow up.. Spoiler Alert! If you haven’t seen the Tom Hanks movie, The Terminal, stop reading this now! In the movie, The Terminal, Tom Hanks’ character is on a mission regarding this particular photo. One day, Viktor explains to Amelia that the purpose of his visit to New York is to collect an autograph from the tenor saxophonist Benny Golson. It is revealed that the peanut can Viktor carries with him contains nothing more than an autographed copy of the “Great Day in Harlem” photograph. His late father was a jazz enthusiast who had discovered the famous portrait in a Hungarian newspaper in 1958, and vowed to get an autograph of all the 57 jazz musicians featured on the photograph. He succeeded in obtaining 56, but died before he could finish his collection. Yeah man! Rich, I did see that and loved that movie! I didn’t know it was based on a real photograph though. Just thought it was a cool plot someone dreamed up. Thanks for the info. where can i get a print? need it as a center piece…. I was in a thrift shop in Texas (I live in California) in February this year. In one of their rooms was a huge basket of CDs. It was like a treasure chest! I bought at least a dozen — can’t remember what I paid, but I know it was less than a dollar each. I was just about thru digging and came upon a videocassette of “A Great Day In Harlem,” STILL WRAPPED IN CELOPHANE! I grabbed it for FIFTY CENTS! It’s the story of the making of the photo and it’s FABULOUS! Have watched it several times and enjoyed it every time! Sad to read that there are only two musicians left of this wonderful group. It truly was A Great Day In Harlem! Thanks for the share. I thought that there was an other photo taken years later. They lined up everyone that they could get together and placed them in the same positions even the kids. Would love a copy of the second photo. 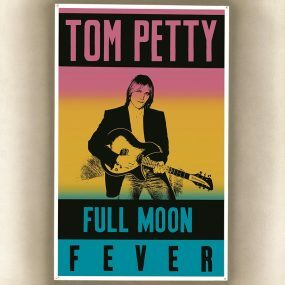 Bought the original poster at City Lights in SF CA years ago. One of the most iconic photo’s in jazz history. Absolutely fabulous! A real trip down Memory Lane. Go man, go! The United artists of jazz music in the United States of America. This great photo greets me every morning when I wake up in my bedroom in Oslo, Norway. I remember seeing Dexter around town in the sixties. The sexiest sax player ever! I love this! Check out my index page link and go to James Polk. I had the pleasure of live streaming him out of the Elephant Room in Austin, Texas. He was with Ray Charles for 10 years. I love the guy. I love the remark by Art Blakey at the end of the video above. It makes you feel good about human beings. And it says you can’t fool people in jazz. They got some integrity. It’s nice to know that some folks want the truth and like hearing it and some got the guts to tell it to you. I love it! Where can I get a high quality copy of this photo? The high pitch ringing tone throughout the video is maddening. Couldn’t even watch this sadly. An idea just crossed my mind. I remember the song “We are the World” directed by papa Quincy Jones upon a piece of music by Michael Jackson and Lionel Richie. The song will be there forever. I’m not saying there’s no jazz piece thta could be so eternal. 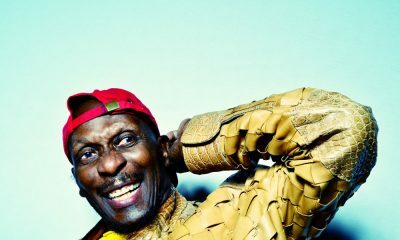 When can we expect to have a piece of music with the still alive jazz legends performing to show the world that Jazz is even more universal than any other music in the world ? By the time they recorded “We are the World” way back in the 1980s, they forgot to invite black African musicians to join in. Well, that was “USA for Africa”. 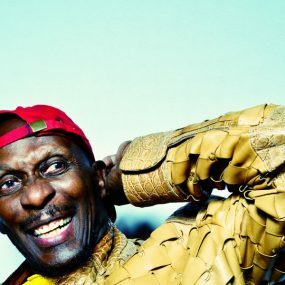 Can we do it something like “World Jazz for Africa”? Kenny G was only two years old when the photo was taken. I, too, have a t-shirt with this photo on it, as well as the video on the making of, a copy of the issue of the mag when the updated photo was taken in the “90’s…in the same issue of that mag, a photo was taken of contemporary JAZZ artists, placed, specifically, in place of musicians who played the same instruments as in the original photo! A magical moment. Thank you from NZ. It’s Miff Mole, not Molo. He was the greatest trombone player in the world in the 1920’s. Man!!! If i could of just met Art Blakey! Well Mingus too, and Dizz, while i’m at it. Jazz in 1958 Harlem! Thank you so very much! You cheered me up on a down day. Now I begin my search for the cd, poster, and a tee shirt or two.